Chipotle Chili-Lime Avocado Cream is sort of a take on guacamole. By using a full-fat yogurt the mix stays nice and thick, and the lime and chipotle chili powder add unique, delicious flavor. I'd usually serve this with tacos (chicken, steak, or veggie will all pair well) but you can also just east it as a dip with tortilla chips or sliced veggies. If you prefer a little extra spice, feel free to add more chili powder. You can easily cut this recipe in half if only serving two, or double it to serve a crowd. 1) Cut avocado in half. Remove seed and scoop out flesh into a bowl. Mash until smooth or allow to remain chunky, depending on your preference. 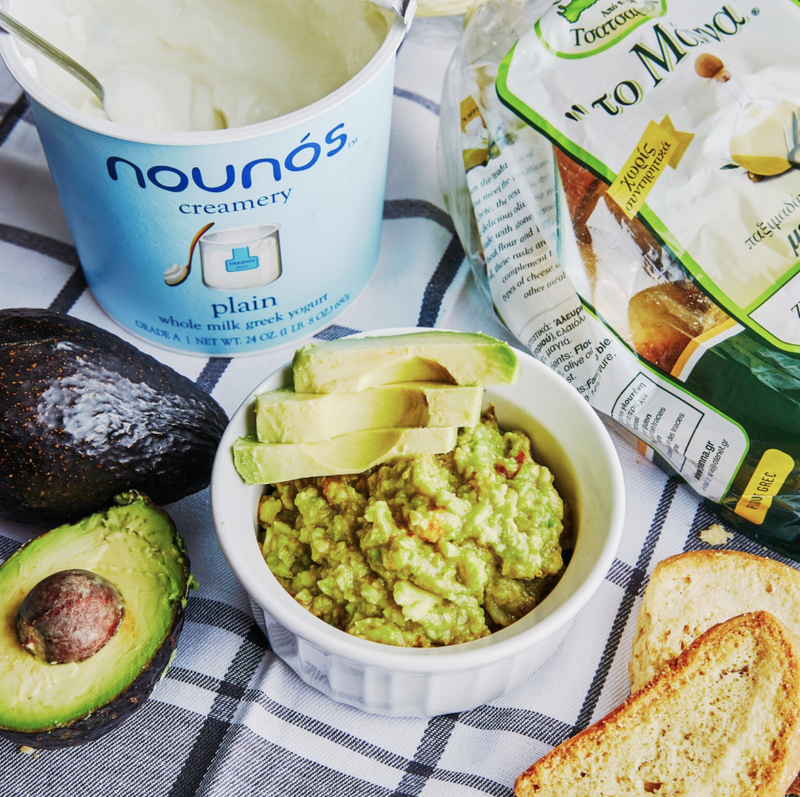 2) Add Nounos Greek yogurt to avocado and mix until combined. Add lime juice, chipotle chili powder and salt. Mix until combined. Serve with tacos, fajitas, tortilla chips, or your favorite crispy dipper! Copyright © 2018 Nounós Creamery LLC. All rights reserved.